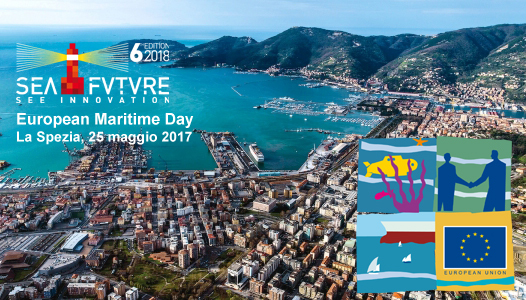 On May 25th, 2017 the Officer’s Club of the Navy in La Spezia (Italy), will host a round table and workshop under the patronage of the European Commission in the framework of the European Maritime Day 2017. The event is organised by La Spezia EPS, Special Agency of the Chamber of Commerce of Liguria Riviere. It is aimed at fostering the concept of “Technologies transfer” between the research system and the industry, hence intended as a strategic element for competitiveness of the Blue Economy. The European Maritime Day 2017 event has been organised into two sessions, the morning session presenting the round table and the afternoon session for the workshop. During the Round Table, which will be attended by Italian and foreign clusters, highly innovative big and small companies such as Fincantieri (Italy) and Cadden (France), the next edition of the Seafuture Award and new ideas in maritime technologies will be presented. The Seafuture Award aims to enhance experimental master or doctoral theses developed in university departments, laboratories, or research centres, which investigate innovative products or processes in the field of marine technologies, but also applicable to different sectors (Dual Use) and/or with low environmental impact. The Seafuture Award 2016 has been organized in a new way, in order to involve more actively Ligurian and European enterprises. It will represent the link towards the next edition of Seafuture (May 23rd to 25th, 2018). 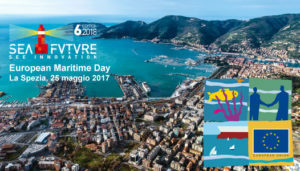 The workshop, organised by Atena and the Liguria Cluster of maritime Technologies and attended by renowned professors and researchers, will focus on marine environmental simulation.